The Future Forecast is a new series that compiles recent analyst projections about the Lexus brand. In this first installment, we cover the CT hatchback. The Lexus CT enters 2018 on uneven ground, as the model has been discontinued in North America despite receiving a new exterior refresh for other markets around the world. These mixed signals make it difficult to determine just what will happen to the hatchback. Analysts at Just Auto believe the CT will be back in the USA & Canada within the next couple years, forecasting the next-generation will be introduced in 2019 as a 2020 model. This mirrors predictions from both Merrill Lynch and Automotive News, though the latter publication is less certain of the CT’s return to North America. Just Auto recycles an older rumor in their forecast, claiming the CT will be offered as a five-door hatchback and a four-door sedan. This second variant is meant to generate more interest for the model in North America and (presumably) China. Just Auto also believes the turbocharged 2.0L engine from the NX 300 will find its way to the next-gen CT. These changes, if true, will go a long way in addressing the weaknesses of the Lexus CT as a global vehicle. The lack of a non-hybrid powertrain and the hatchback design limited the CT’s appeal in the USA, even as it surged to become one of the best-selling Lexus models in Europe. A second-generation CT is not without its challenges — as previous owner myself, it will take a significant reworking of the interior to line up with the radical designs of the LS & LC flagships. Along with that, Lexus has struggled to add engine options to their existing models, and this may continue to be an issue moving forward. The final fly in the ointment is the upcoming UX subcompact crossover, which will bring an entry-level offering to the Lexus SUV lineup. Is there enough room in the Lexus lineup for two CT variants and the UX, at least in North America? What do you think about these projections? Can you see Lexus releasing a new CT in 2019? How interesting is the idea of a four-door CT sedan? And how much power do you think the next-generation CT needs? 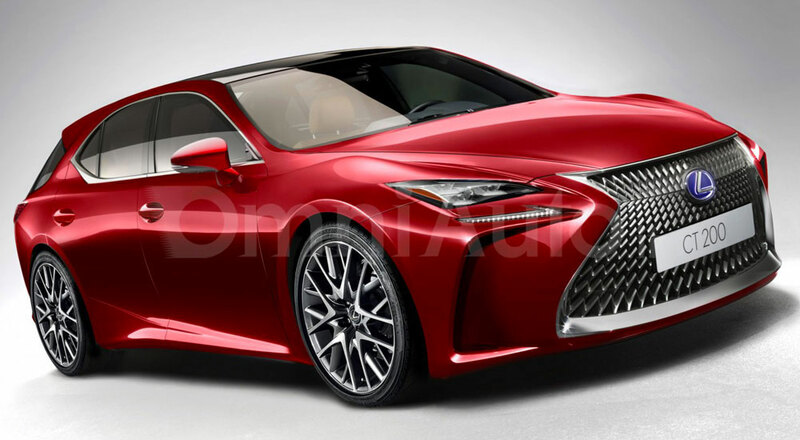 The renderings above are from Italian website Omniauto and Japanese magazine Best Car. krew: Black Dynamite!I'm expecting the UX to kill off the CT. It will not be missed..... BDI already miss the CT.